Luka Doncic is a Slovenian professional Basketball player who plays in the National Basketball Association (NBA). 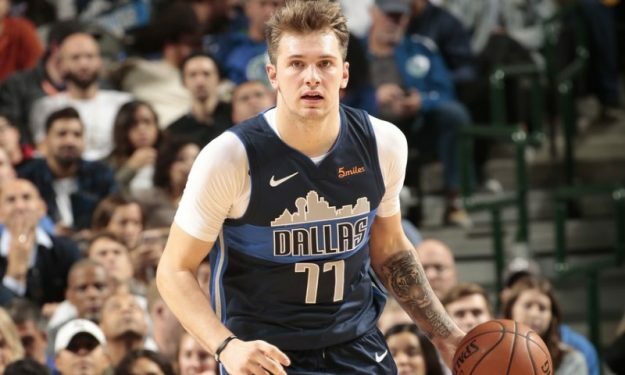 As of 2018, Luka Doncic plays for the Dallas Mavericks as their Point guard/Small forward. Previously he played for Real Madrid Baloncesto of Spanish Basketball League. Luka Doncic will reportedly earn $6,569,040 as his yearly salary from Dallas Mavericks for 2019 season. Further, Luka will earn $32,618,812 according to the contract. His net worth is yet to be determined. Luka is in an on and off relationship with Slovenian Model Anamaria Goltes. Since Luka Doncic is a new NBA player, so, his net worth is yet to be calculated but can be assumed to be about $2 million. On July 9, 2018, he reportedly signed a contract with Dallas Mavericks and has so far made the earnings of $$6,560,640 from his NBA career. What is Luka Doncic's Salary with Mavericks in 2019? 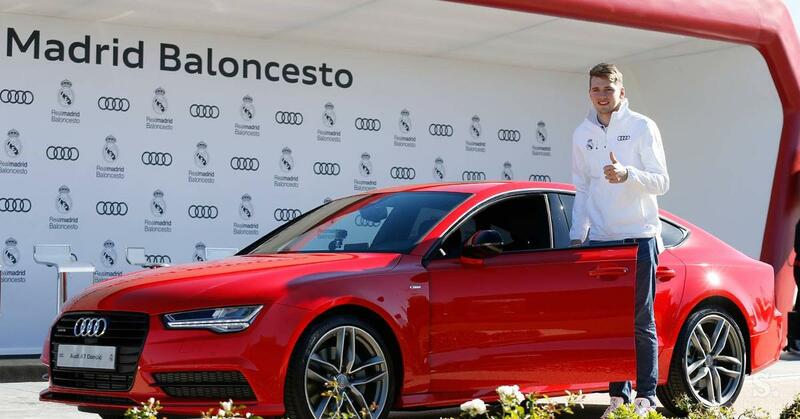 The NBA star, Luka Doncic has an average salary of $6,569,040 per year. Doncic will earn the projected salary of $45,816,552 through his contract with Mavericks. His salary for the 2019 season is reported to be $7,683,360. The new contract extension is expected to make him one of the highest paid NBA players. Looking at Luka's personal car collections, he owns a stunning Audi A7 car costing $69,700 and an $85,000 Porsche Panamera. In addition to being an NBA Small forward / Shooting guard, Luka Doncic is very famous in social media. He has 1.1 million and 214,000 followers on Instagram and Twitter. Who is Luka Doncic's Girlfriend? 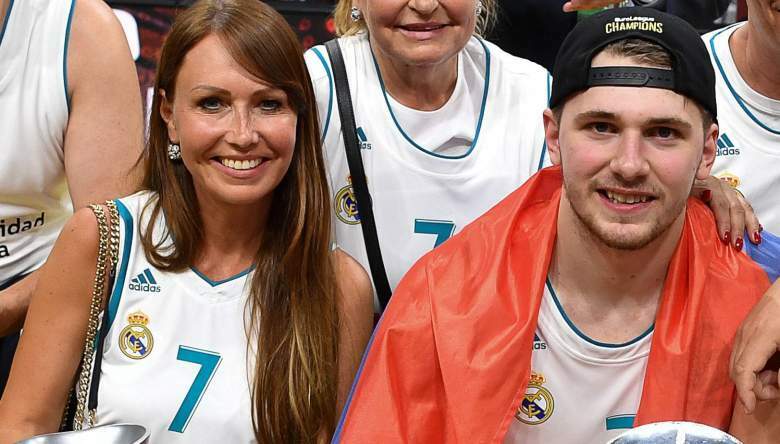 The former Real Madrid star Doncic is in on and off relationship with Slovenian Anamaria Goltes, a former Lingerie Model. The couple reportedly started dating in 2016 and just 3 days before the NBA Drafts, the two broke up. However, Doncic and Anamaria are back together as they can be seen together in several social media posts. Doncic's girlfriend Anamaria has also posted several images of her Instagram. She often wears the jersey with Doncic's name on the back. So, the couple seems to have reunited. The NBA star is 6 feet 7 inch in height and weighs approximately 99 kg (218 lbs). Doncic is able to speak four languages: Slovenian, Spanish, Serbian and English. Luka has a tattooed image of a tiger on his left forearm. Lebron James is his favorite player. Luka Doncic was born on February 28, 1999, in Ljubljana, Slovenia to parents, Sasa Doncic and Mirjam Poterbin. Doncic's father is a former player and basketball coach, while his mother is a former model and dancer. Luka's father trained the Slovenian and Euro league team. Luka belongs to mixed ethnicity of Slovenian and Serbian descent. In 2008, Luka's parents filed for divorce, with custody and legal guardianship was allowed to his mother. At 7, Luka began playing organized basketball at primary school in Ljubljana. Luka attended Ljubljana's high school "Osnovna sola Mirana Jarca" where he played for Slovenian club Union Olimpija. Luka held an average of 54 points and 11 rebounds in the high school career. In 2015, he was named to the Real Madrid squad for the Liga ACB which is the top level of the Spanish League. Luka Doncic's professional career began at the age of 13. In February 2012, he was loaned to Spanish club Real Madrid for Minicopa Endesa, an under-14 Spanish club competition. During that game, Luka averaged 13 points, 4 rebounds, and 2.8 assists. In September 2012, Doncic marked a five-year contract with Real Madrid Baloncesto. In February 2013, Doncic led Real Madrid to a Minicopa Endesa win averaging 24.5 points, 13 rebounds and 4 assists per game. On April 30, 2015, Luka made his professional debut For Real Madrid in the Liga ACB. At 16, Luka became the third-youngest debutant in the history of the ACB league behind Ricky Rubio and Angel Rebolo. With an average of 15 points and 6 rebounds, Doncic set a record in a match against Club Basket Bilbao. Throughout 2016-2017, Luka has averaged 7.5 points and 4.4 rebounds over 42 ACB games. On June 21, 2018, Luka was selected as a third pick by the Atlanta Hawks in the 2018 NBA draft only behind Deandre Ayton and Marvin Bagley III. However, he was then traded to the Dallas Mavericks in exchange for Trae Young. On July 9, 2018, Doncic signed an $11million rookie contract with the Mavericks. On October 17, 2018, Luka made his regular season debut with an average of 10 points and 8 rebounds.